It is always important to have all your equipment ready before you go freshwater fishing. The factors that will affect your preparedness include your target fish as well as the tactics you will use in catching them. This article is going to teach you the most basic set up that you may undertake; and that is of the fishing rod. It may seem a little bit too simple but if you mess up in setting the fishing rod, then you may have the hardest time catching your target fish. The set up we will give you has proven to be very effective over the years for catching fish. These items are always cheaply available in all the fishing shops countrywide. They will vary according to the sizes of the fish which you are targeting. For instance, if you are going for trouts, the hooks should range from size 4 to 12. This usually comes with the fishing rod and reel. If it has, always ensure that it is set up for fishing. Untie all tangles or eliminate any existing flaws. If your fishing rod lacks a fishing line, you can always buy yourself a test fishing line and spool it in the fishing reel. There are a variety of items which you can use as bait. They include worms, insects, and artificial baits among others. Apart from your personal preference, you should select the bait which will increase your success rate as well as suit your fishing environment. They should be big and strong enough to prevent the hook and bait from sinking underwater; otherwise go for a basic bobber. They should be light enough to hold on to the bobber without pulling it down underwater. After the materials, we now move on to the fishing set up. We shall provide you with three set ups and how to go about them. As the name suggests, this cheap fishing rod is designed such that you can easily fish off the bottom of the water body. There always comes a time when the fish prefer staying closer to the bottom than to the top. The periods when the fish stay closer to the bottom include: when the air or water is cooler than normal, during daylight, winter (season) and so on. In this method, you will need a 3-way swivel, the third eye allowing you to put an additional line or weight. Alternatively, if you are one who constantly changes their weights, then you can have a snap instead of a third eye. The size of the weight should be just enough to help you avoid difficulties in casting. The weight size is also affected by the bait size and the fishing line weight among others. This is the line that connects the swivel to the hook. The length should range between 12 inches to 18 inches. This should be determined by your local laws on fishing. The bait you use should depend on the general appearance of the bottom of the lake. For instance, if the bottom of the lake is muddy, you should use floating bait which would not camouflage itself in the mud. This set up is mostly used if your target fish reside from the upper to the middle sections of the water. You will constantly cast and retrieve your lure, which would probably be plastic or metallic. It connects the main line to the leader line and removes any twists on the line. It helps prevent the floater from sliding to the bait. You can also use it to determine the depth of your set up. This float gives you the option of adding water into the float so as to alter the depth according to your preference. You get to decide how deep you want your bait to sit. This bait will be a decoy for a bait fish. In this set up, you can set your bait at a depth depending on the distance between the float and the hook. 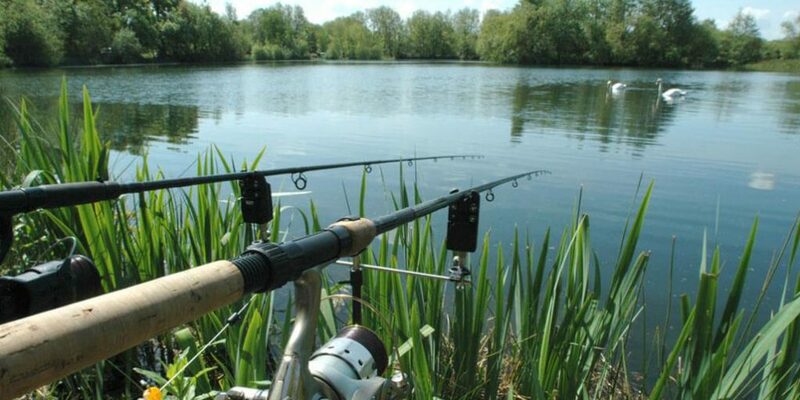 You can therefore aim for the fish located closer to the top and mid sections of the lake. The bobbers ensure that the bait is suspended closer to the surface or mid section of the lake. You can also use them to know when the fish has taken a bite of the bait, since it will make sudden movements. The hook you use should always conform to the local legislation. You should also use the hooks which always result in the death of the fish which you may have accidentally caught or do not desire. These are small weights located on the fishing line. They are circular in shape and have small gaps that can open up the weights. You can also use these gaps to close the weight onto the line. The bait can be worms, shrimp and artificial items and so on. The experts recommend that you use live, moving bait in freshwater fishing. This is because moving baits tend to attract moving targets as well. Note that there are regulations that govern the use of live baits, so ensure that you comply with them. Also read: How To Get Started Fishing: Practical Advice & How to Clean Fishing Reels: Are You Doing It The Wrong Way? Now that you have learnt how to set up a fishing rod, you can go ahead and enjoy your fishing adventure. Keep in mind that not all days will be successes and you may end up going home empty handed. It is also important that you respect and comply with all the local fishing regulations, even if you disagree with some of them.